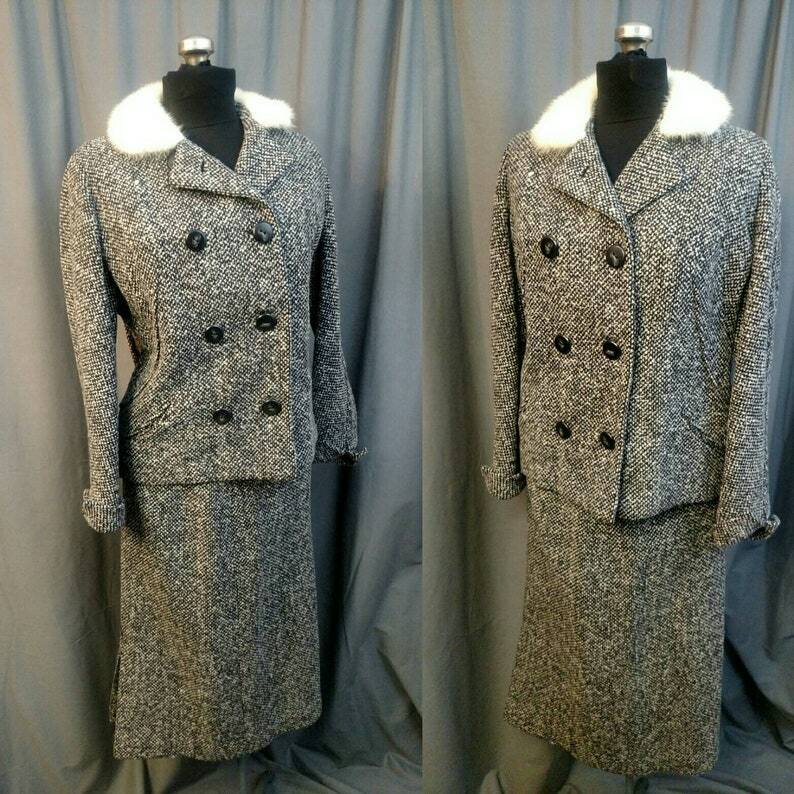 Dan Millstein Wool Skirt Suit with White Mink Trim Collar. 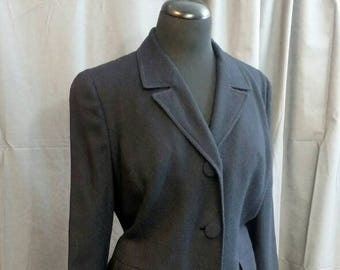 Beautiful Wool Winter Suit. 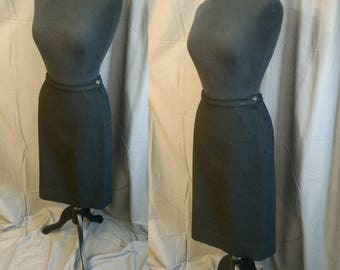 Jacket is fully lined in a black Crepe and the skirt is half lined in the same. Purchased at Jay's Boston. 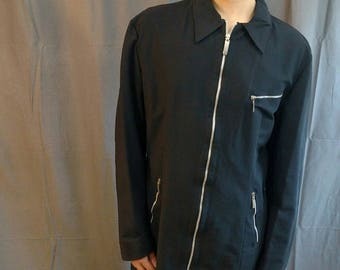 Double Breast Jacket that buttons all the way up and closes with a small button and loop. 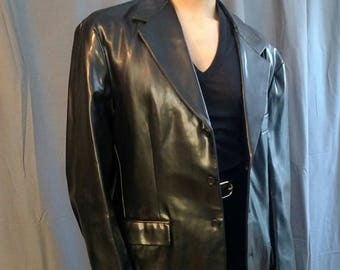 Great for Office or Dinner Party - Jacket can be worn alone or the skirt for more mix and match options.